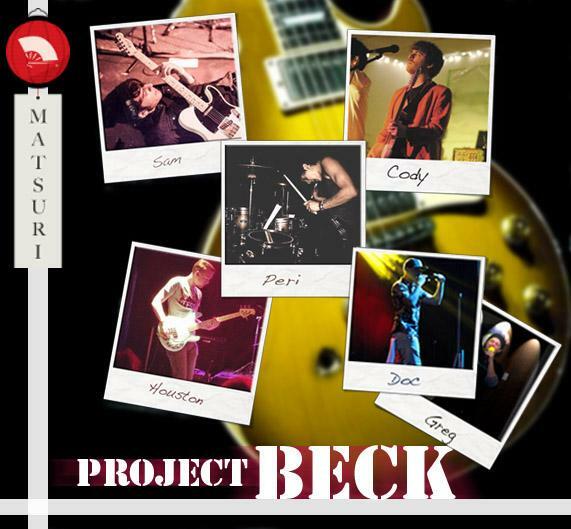 Project BECK, a tribute band for the anime series BECK:Mongolian Chop Squad, will perform at this year’s Matsuri, to be held before Otakon 2015. The band combines the talents of six friends, including voice actor Greg Ayres. Project BECK came together thanks to a shared love of BECK: Mongolian Chop Squad, an anime series featuring a group of teenagers who form a band called BECK. Among the show’s fans were the American pop punk band The Cheyenne Line, YouTube musician Kid Yuki, a.k.a. Cody Carsella, and long-time friend and bassist Houston. After years of traveling from state to state attending conventions as fans, Sam Biggs and Peri Arreguin of The Cheyenne Line decided to combine their talents with Cody and Houston. With the help of voice actor Greg Ayres and nerdcore rapper Doctor Awkward, they formed Project BECK to perform their favorite songs from BECK: Mongolian Chop Squad. wanted to share in the experience, as well. The Otakon Matsuri is an outdoor street festival that will be held from 12:30 p.m. to 9 p.m. on Thursday, July 23 at Baltimore’s beautiful West Shore Park at the Inner Harbor. Admission is free to both the Otakorp membership as well as to the general public. The event features many attractions to keep attendees well-occupied: games, contests, prizes, live entertainment, great food, and even Otakon guests, who have been known to stop by and take part in the festivities. Otakon 2015 will be held July 24-26 at the Baltimore Convention Center in Baltimore, MD. Otakon 2015 is celebrating fairy tales, folk stories, myths, and legends.